In order to apply for a Connecticut State Permit to Carry Pistols and Revolvers or an Eligibility Certificate to purchase handguns you must be 21 years of age and complete a certified handgun safety course. The objective of the Basics of Pistol Shooting Course is to teach the basic knowledge, skills and attitude necessary for the safe and proper use of pistols and revolvers. This course includes classroom training on gun parts and operation, ammunition, safety, cleaning, storage, loading and unloading, shooting fundamentals, range safety and pistol sports and activities. Students participate in live fire exercises at a shooting range. The fee for this class is $120. All classroom material, firearms, ammunition and other needed range equipment are included. 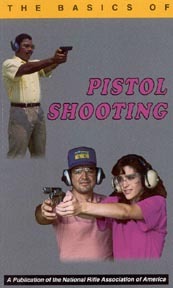 or Private Group Pistol Permit Classes. Please Ask about the availability of Rifle and Shotgun Permit classes. We can also offer weekday and weeknight classes to fit your schedule.